Spanning 10 years and 10,000 miles, One Day We Arrived in Japan shows the stories of three Brazilian families who set off to Japan in search of a better future – a mother and daughter, a young couple, and a family of four with a small child. The film captures the passage of time, forming layers of memory and revealing how the families’ dreams and expectations stand up to a grueling new reality on the other side of the world. Since 1990, hundreds of thousands of Brazilians of Japanese descent have gone to Japan to work. This unique documentary brings to light the gripping personal stories behind a major transnational phenomenon. Filmed in Brazil and Japan from 2006 to 2016. In Portuguese and Japanese, with English subtitles. Aaron Litvin spent 30 months in Brazil and 30 months in Japan during pre-production and production of One Day We Arrived in Japan. 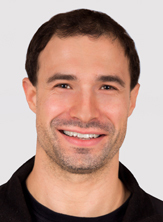 Litvin graduated from Harvard College with a degree in Latin American Studies, earned an M.S. in Sociology from the University of São Paulo, and is a Ph.D. candidate in Luso-Brazilian literature and Critical Media Practice at Harvard University. He was a Fulbright Scholar in Brazil and a Japanese Government Research Scholar at Sophia University in Tokyo. 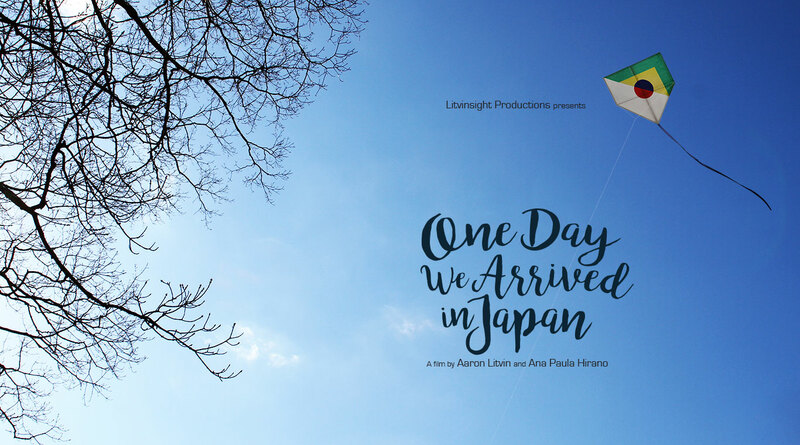 Ana Paula Kojima Hirano spent two years in Brazil and one year in Japan during pre-production and production of One Day We Arrived in Japan. Hirano earned her undergraduate degree in Economics from the University of São Paulo, where she researched global labor market transformations and also studied visual anthropology and cinema. 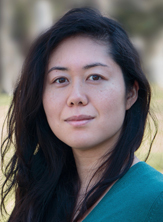 She studied at Sophia University in Tokyo on a Japanese Government Scholarship, and she is currently a Ph.D. candidate in Luso-Brazilian literature and film theory at Harvard University. Marlom Meirelles has produced and directed several award-winning films. His short film The Bricked Girl (A Emparedada da Rua Nova) was screened at Cannes and other international film festivals. 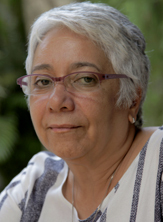 Meirelles won a script competition with a project entitled Among Women (Entre Mulheres, 2012), a documentary on women’s rights and gender. In 2015 he produced and directed the short film Button Eyes (Olhos de Botão), a fictional suspense/thriller set near his hometown in the countryside of Pernambuco, Brazil. Luelane Corrêa has worked on acclaimed feature films while also producing and directing her own award-winning short films. Corrêa has collaborated extensively with renowned Brazilian director Nelson Pereira dos Santos – she served as assistant director of Memórias do Cárcere (1984) and Jubiabá (1986), editor and assistant director of A Terceira Margem do Rio (1994), and editor of Cinema de Lágrimas (1995) and A Música Segundo Tom Jobim (2012). Her short film Como se Morre no Cinema (2002) won the Cinema Brazil Grand Prize. Felipe Lacerda has edited over 40 feature films spanning a variety of genres and styles. He co-directed and edited the documentary Bus 174 (2002), which screened at festivals worldwide and won many awards, including an Emmy. He edited Central Station (1998), an Oscar-nominated Brazilian classic. He also edited Nelson Freire (which he co-wrote), Secrets of the Tribe, Garapa, Grey City, and Foreign Land. 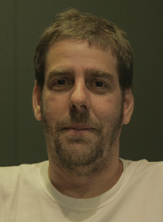 Lacerda has worked with Walter Salles, José Padilha, Daniela Thomas, Daniel Filho, João Moreira Salles, Pedro Peirano, and many other directors. 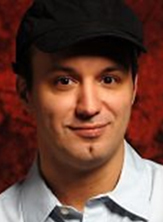 Ricardo Cutz has done sound design, sound editing, and sound mix for over 40 feature films and 300 TV series episodes. In recent years he has worked with director Kleber Mendonça Filho, serving as supervising sound editor and re-recording mixer of Aquarius (which premiered at Cannes in 2016) and as the re-recording mixer of Neighboring Sounds (2012). Earlier in his career, he worked with director Eduardo Coutinho as the sound editor of the documentary Edifício Master (2002). Cutz is the founder of 106db Studios in Rio de Janeiro. Q: Who made the film, and what was it like to make it? A: The crew was just me and co-director Ana Paula Hirano. This allowed us to become very close to the families in the film, which I think was fundamental to sharing their stories. We got to know them, followed them from Brazil to Japan, and filmed them for many years. We did some of the most powerful interviews at their houses at two in the morning. I think that this intimacy is one of the defining characteristics of the film. Just as much as the filming, though, One Day We Arrived in Japan is the result of what turned out to be a massive editing project – shaping over 150 hours of footage of three families over ten years into a compelling 80-minute film with a coherent and engaging narrative structure. Ana Paula and I did a lot of editing over the years, but after filming was finally complete in 2015, four excellent filmmakers joined the team and made wonderful creative contributions. First, Marlom Meirelles became the film’s creative consultant and co-editor, and together we reviewed all of the footage and edited multiple versions over the course of ten months. Then, co-editor Luelane Corrêa and I collaborated for two months, revising the film and adjusting scenes and transitions frame by frame. 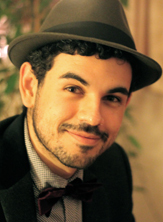 Felipe Lacerda, during two intense weeks as editing consultant and finishing editor, helped develop a more compelling narrative structure and improve the film on every level. Finally, Ricardo Cutz did the sound editing and sound mix, and the team at O2 Pós did the image post-production. So, what started as a two-person project became a massive team effort. And hundreds of people from around the world have provided support and advice, for which we are extremely grateful. It has been quite a saga. Q: Why did the film take ten years to make? A: The concept of the film was to follow people for many years so that we could see the changes in their lives. Ana Paula and I imagined that the experience of moving to a very different country on the other side of the world would be transformative for everyone, and we wanted to capture that – but we didn’t know how it would affect each family, and we needed to allow a lot of time for life to take its course. We wanted to do something with the film that no journalistic report could do: intimately follow people’s lives for many years, showing how their hopes and dreams withstand a challenging new reality and unexpected outcomes. Q: What is the style of the film? A: We wanted the film to be as direct and transparent as possible, with the focus on the migrant families and their stories. For this reason, there is no voice-over narration or added music or sound effects, and there are also no “talking heads” – everyone who appears in the film has a direct connection to one of the three families. We don’t pretend that the camera isn’t there or that every scene is somehow “pure” or natural; to the contrary, I believe that the filmmaker can and should sometimes be a bit disruptive, creating situations and opportunities for truth to surface. At the same time, I guess I do appreciate a sort of simplicity and purity in documentaries: I believe that a powerful scene or interview conveys its own emotions and insights, without pseudo-poetic voice-overs or tear-jerking cello tracks. Essentially, we wanted to give the migrant families a series of occasions to share their lives and tell their own stories, without external material. We did that by recording verité footage and by creating opportunities for reflection, such as by showing the families past interviews and footage of themselves. We also incorporated home videos and used a variety of cameras and aspect ratios, so as to differentiate between past and present and to form layers of memory. Q: How did you come up with the idea of making a film about Brazilians who go to Japan? A: Back in 2003, when I was an undergraduate at Harvard, I studied the fascinating history of Japanese migration to Brazil and the more recent phenomenon of Brazilian migration to Japan. Brazil has the largest population of Japanese descendants in the world outside Japan, and during the past 25 years, hundreds of thousands of Brazilians of Japanese descent and their families have gone to Japan in search of higher salaries and a better life. I received grants and fellowships to do several years of field research in each country, and I wrote articles and theses that I presented at academic conferences. But in the process, I realized that while my sociological research was good for identifying trends and making generalizations based on surveys and interviews, it wasn’t really showing the lives of individual migrants and families. In 2006, I was in São Paulo finishing a year of research, and was about to go to Japan for 18 months of research there. It occurred to me that, just as I was about to move from Brazil to Japan, there were thousands of Brazilian families about to make the trip. I wanted to meet them, show their faces, and give them the opportunity to tell their stories – not just through interviews, but by following their journeys across the world for several years and letting them share their own lives and experiences. I bought video and audio equipment and, together with Ana Paula, set out to find Brazilians who were about to go to Japan. That’s how the documentary was born. At the time, we imagined that we would see some major changes in the lives of the participants, but we didn’t foresee that this film would be a decade-long journey and that we would witness in great intimacy such dramatic and unexpected turns of fate. Q: How did you find the three families that are in the film? A: The great challenge of this film was that instead of just going to Japan and interviewing Brazilians there, or providing information and statistics, we wanted to follow people’s entire immigration experience from the beginning. Ana Paula and I wanted to find would-be migrants while they were still in Brazil – to hear their hopes and expectations as they prepared to make the journey – and then follow them to see what would happen when their dreams were confronted by the harsh reality of working in Japan. To find the participants, we went to places in São Paulo where people would go if they were preparing to move to Japan: employment agencies, Japanese language classes, and NGOs that host workshops about working in Japan. We interviewed dozens of families – some of them decided not to migrate, or didn’t get their Japanese visas, or decided to quit the documentary – and we ended up following five families in Japan for the first two years. Three of those families made it into the final film, including one family that we followed until 2015. Actually, that last family was already in Japan when we met them in 2006, but they were very expressive in sharing their story, and they also had lots of home videos that they shared with us. Q: Why have Brazilians of Japanese descent gone to Japan, and what do they do there? A: In 1990, the Japanese government passed a law allowing second and third-generation Japanese descendants (the children and grandchildren of Japanese citizens) and their families to live and work in Japan. For many Brazilians of Japanese descent, this was an attractive option, as they could earn higher salaries by going to Japan and working in factories. The migration is overwhelmingly for economic reasons: although most of the migrants are of Japanese descent, my surveys and interviews have shown that they go to Japan in search of financial stability and a better life, not due to cultural ties or a desire for some mythical “return” to their ethnic homeland. 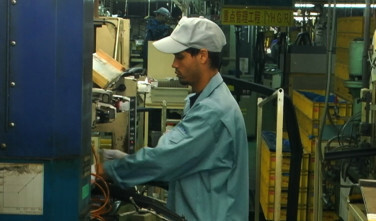 When they go to Japan, most of the migrants do not speak much Japanese or identify with Japanese culture and society; that fact, along with the physical and mental toll of exhausting factory work, is a major reason why many Brazilians – including the three families in the film – have such a challenging experience in Japan.